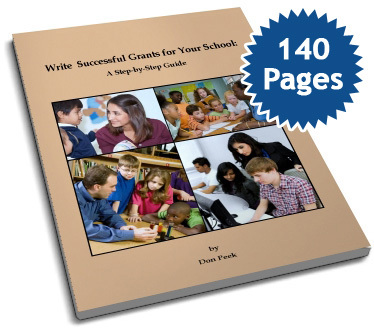 Write Successful Grants for Your School: A Step-by-Step Guide gives you 140 pages of specific instructions on how to find and win grant money. It also provides you with dozens of links to winning grant proposals that you can use as a resource when you write your own grants. Armed with this manual, you'll be able to win thousands of dollars in grant money, even if you've never written a grant before. Write Successful Grants for Your School is written by Don Peek, director of The School Funding Center. He has helped hundreds of schools win millions of dollars in grant money over the past ten years. His book shows you how to have that same kind of success.